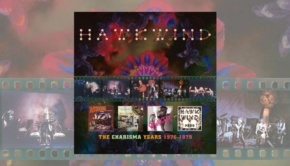 Esoteric Records continue their reissue of Hawkwind’s albums, grouped together in box sets with the other releases on the original labels. On this occasion we have the albums released on the GWR Records label between 1988 and 1991, these being The Xenon Codex, Space Bandits and Palace Springs. Again they are presented in a clamshell box, each album in a replica cardboard sleeve, also including a poster which contains the album information. 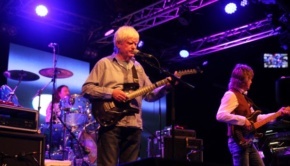 As a change from the previous two sets that I have reviewed, the band members and the instruments played are also included, something that I felt would have improved the overall presentation of the earlier sets. It would be nice to think that they took note, although I’m not naive enough to think that and it’s probably just a lucky coincidence. The whole set has been digitally remastered by Ben Wiseman at Broadlake Studios in Hertfordshire. 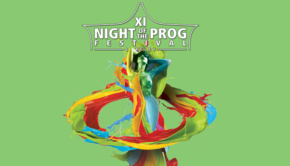 The three albums here have some notable points attached to them; The Xenon Codex being the last album to include Huw Lloyd-Langton on guitar, until his return in 2010 for Onward, while the other two albums have a female singer, Bridget Wishart. This is the only time that Hawkwind have chosen a female singer and for the time, 1988, this was perhaps visionary as today female fronted bands in prog and rock are more commonplace. The fact that they had a female singer at all is news to me as I lost touch with Hawkwind for a number of years, so it came as a surprise to learn that they had employed Bridget, all be it for only one studio album and a live recording, both of which are included in this set. The Xenon Codex provides us with some classic Hawkwind sounds, despite not being a truly consistent effort. 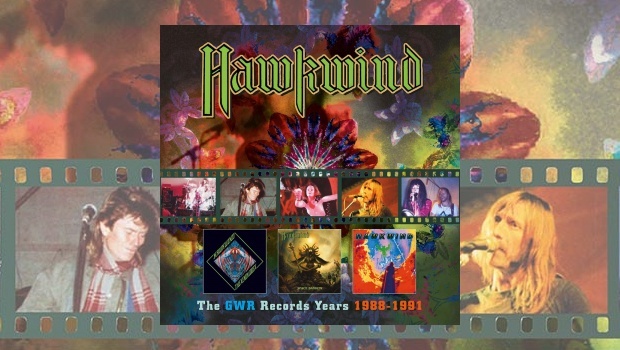 Things get off to an excellent start with The War I Survived, the kind of powerful song which we have come to expect from Hawkwind. The second track, Wastelands of Sleep, is a much more ambient affair, but despite this there are some pounding and pulsating rhythms with a distant and almost spacey vocal. Lost Chronicles is a great instrumental, piano and keyboard driven until Lloyd-Langton provides one of his best guitar contributions, followed by the introduction of the drums which picks up the pace for a run to the end. The rest of the tracks are not stand outs, except perhaps E.M.C. and Sword of the East which, with those mentioned above, are the best on this album. Space Bandits saw some changes within the Hawkwind family, including the arrival of drummer Richard Chadwick, who is still with the band today. Simon House returns on violin and of course there’s new vocalist Bridget Wishart. Things get off to a great start with the opener Images, Bridget’s vocals are excellent and for me add a new dimension to their sound. It’s just a shame that they did not continue for long with her onboard. Black Elk Speaks features a vocal recital over a Native American drum pattern accompanied by distant guitar, “Black Elk’s” voice giving way to Bridget’s while the band add touches that build an atmospheric feel before the return of “Black Elk”, ending with the drums alone. The rest of the album is a patchy affair, save for Ship of Dreams which has the Hawkwind trademarks with some great violin from Simon House. However, Bridget’s vocals are criminally underused throughout the album in my opinion. The third album in this collection is the live Palace Springs, although there are two studio tracks here, the bulk recorded during the North American tour of 1989, it is not known for certain where but probably Los Angeles. The sound quality is very good, the audience mixed down which gives it the feel of a strong studio album. The live tracks are familiar to hear, although the titles may throw you; Assault and Battery and The Golden Void are changed to Void of the Golden Light and Lives of Great Men respectively. 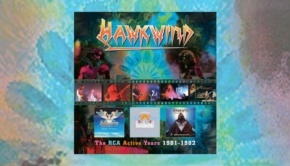 The reason for this is not clear, they were possibly renamed for publishing purposes, but the classic Hawkwind sound remains intact here. Bridget’s vocals are again underused, only featuring on opener Back in the Box which has an almost Neil Young-like rocking start before the more familiar Hawkwind driving rhythm emerge. The rest of the album sees the band on good form, setting aside the strange reggae section in Damnation Alley which for me does not work. This is a nicely presented release which would sit well on your shelf next to the previous two sets in this series, The Charisma Years (1976-1979) and The RCA Active Years (1981-1982) . If you are a fan or collector, and are happy with the vanilla releases of these albums you will not be disappointed with this set. The sound quality of the mastering is very good and clear, although I do not possess the original albums so cannot comment on whether it’s an improvement. Hopefully these reissues will continue in this box set format, it is a great way to fill the gaps with albums that you might have missed. Right off for another listen, now where are my psychedelic lights and incense sticks?